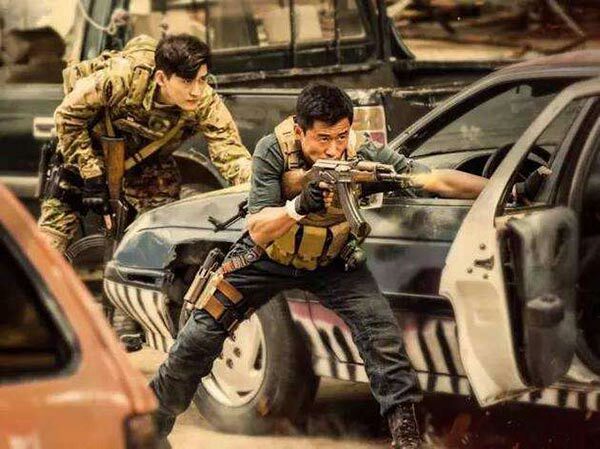 Wolf Warrior 2, China's all-time highest-grossing movie, will be rereleased from Sept 19 to Oct 19, sparking online discussion after the news broke on Sept 13. A notice from the Guangdong-based theater chain Dadi Cinema says the screening was organized to meet affiliated cinemas' demands for diversity in themes, promote market competitiveness, and raise box office revenues. The chain has more than 200 cinemas across the country. Every cinema that wants to re-screen Wolf Warrior 2 is required to pay 1,000 yuan ($146) to acquire the rights from the chain. Unlike the film's debut screening in 2017, when ticket revenues were shared by producers and distributors, the Dadi cinemas will not share the re-screening box office earnings with the production companies, according to the notice. Cinemas can self-arrange promotion and online sales, but each ticket booked online should not be sold for less than 19.9 yuan. Starring and directed by action star Wu Jing, Wolf Warrior 2 raked in a stunning 5.68 billion yuan in 2017. The figure broke the record held by Stephen Chow's The Mermaid and made the military-themed action flick China's top box office earner of all time. Maoyan, a live box-office tracker, shows that Wolf Warrior 2 has earned 15,400 yuan through online presales for Sept 19, placing it sixth for that day's box office charts. Some netizens joked Wolf Warrior 2 may revive the recent lackluster movie market, and could surpass the milestone of 6 billion yuan in box office returns.